For ECC5 we are going back to our roots. In addition to the themes re-introduced in the 4th edition, in the 5th edition of the series the positions are now graded according to playing strength – basic, intermediate and advanced – just like it used to be in the well-known ‘white classic’, the 1st edition of Encyclopedia of Middlegames: Combinations, published in 1980. Basic? Well, not quite. Perhaps we should say there is nothing too basic here. Even the starting level is challenging. In fact trying to solve some of the examples might drive you to despair! To be sure, throughout the Internet you will find a vast ocean of disordered, simplified tactics – but let others fool around and have quick and easy fun. For you, on the other hand, ECC5 is the ultimate educational tool with systematic, carefully selected pro-level content. Oh yes, the fun is still there, only on a completely different scale. Imagine the thrill you will get after solving – and surviving! – the Chess Riddle of the Sphinx. The book (and the CD and Download) contains 3,001 classified and annotated combinations from all-time tournament practice. It will be appreciated by anyone who wants to raise their level of play or who wants their students to be fully primed for competitive tournament chess. 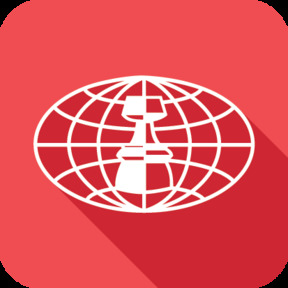 The electronic version is made with the Training feature incorporated into Windows based ChessBase software, which will suit coaches perfectly. With additional PGN files, ECC5 can be used on electronic devices as well (iOS and Android), though without the advanced features accessible only from CBH files. Compared with the 4th edition there is approximately 5% new material, although with its new internal structure the book looks quite different. Nevertheless we do not think that readers who already own ECC4 need to acquire the 5th edition, since their book (proven bestseller!) contains all the essential features and has maintained its fine reputation. 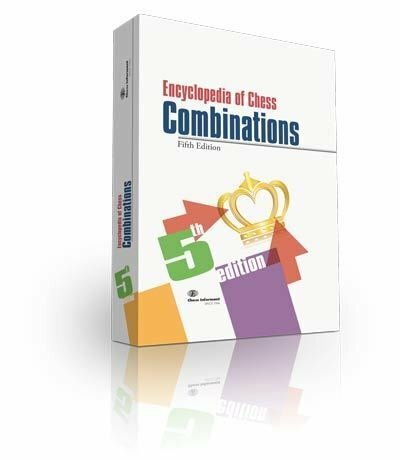 For all those who are thinking of acquiring the Encyclopedia for the first time, let’s just say that ECC5 is the standard work on the art of combinational chess. It is designed to offer infinite pleasure for chess enthusiasts or training for would-be-grandmasters. Or both!